I recently had the opportunity to attend a (delicious) preview event of Margaritas new fall menu which will hit the stage September 30, 2014. Not familiar with Margaritas? Well read on then! Founded in 1986 by John Pelletier, Margaritas Mexican Restaurant Group has 25 locations throughout Connecticut, Maine, Massachusetts, New Hampshire and Pennsylvania. From colorful authentic décor to a commitment to community relations through charitable events, student field trips and visiting artist demonstrations, Margaritas provides an atmosphere rich with the culture and flavors of Mexico. Now let me tell you, I sampled A LOT of food (and drink). Like so much food that I wasn't sure I'd ever be able to eat again after I left there. I just couldn't help myself. It was all so good! And this is coming from a girl who only really started eating Mexican food last year. 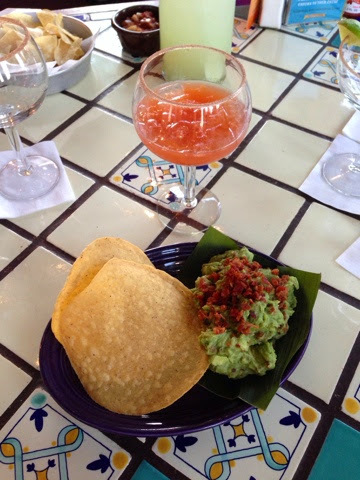 We started the night off with their new PUMPKIN Sangria and guacamole with bacon. Yup, BACON! The sangria comes in both white and red which were both great but I enjoyed the white (pictured below) more. One of the other new fall drinks is an Apple Cinnamon Margarita which was my favorite of the night. I was surprised too since I'm not a huge Tequila fan. The cinnamon/sugar on the rim knocked my socks off. Luckily, I was not too distracted from the delicious libations to notice the fun and interesting decor. 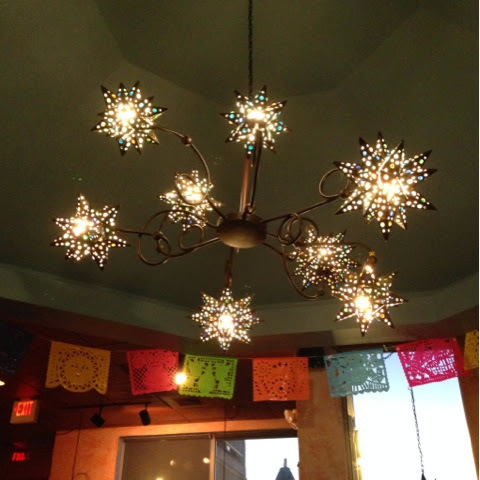 All decorations at Margaritas are made and purchased in Mexico to give the restaurant a true authentic feel. One of the highlights of the evening was getting to see (and tackle) the Taco Gigante. The Taco Gigante is made with a crispy 12-inch tortilla shell and comes stuffed with lettuce, refried beans, Mexican rice, seasoned chicken, taco beef, pork carnitas, bacon, salsa fresca, cheese and queso sauce. Topped with crema, pickled jalapenos, picante and hacienda sauce and weighs in at over TWO POUNDS! 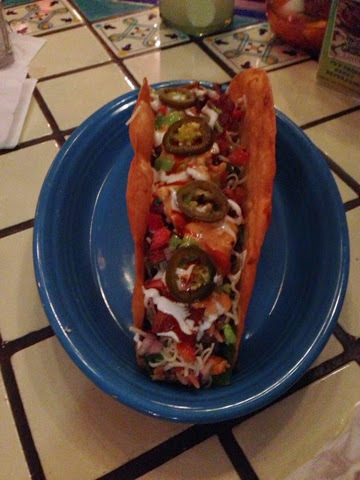 The Taco Gigante is making it's return debut in order to help celebrate National Taco Day on October 4, 2014. Also, don't forget to try out the Dessert Gigante which includes frozen ice cream (it was so good!) and cinnamon/sugar Sopapillas. I DARE YOU to eat both Gigantes. Actually, no I don't, I don't want to be held responsible for that kind of craziness! We sampled so many great meals that night including the Habanero Honey Chicken Fajita but my favorite item was the Mexican Corn Cakes. 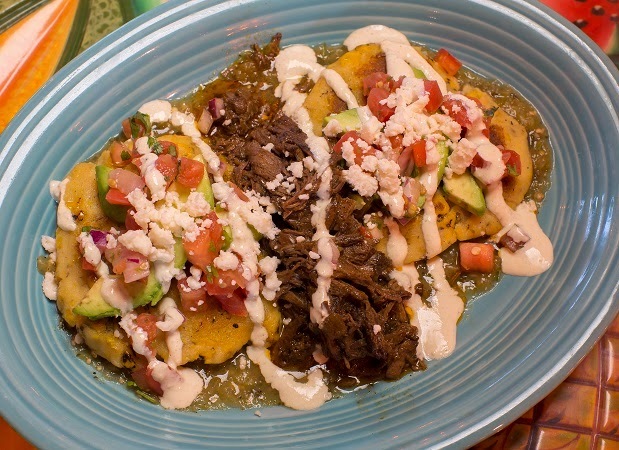 It was slow-braised beef served with two Mexican corn cakes in a sweet tomatillo sauce topped with salsa fresca, diced avocado, poblano crema and queso fresco. Feeling hungry yet? 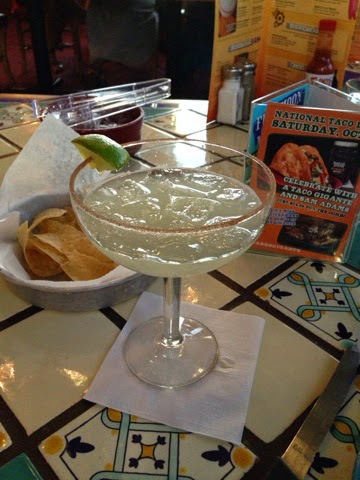 You can check to see if there's a Margaritas near you HERE and also follow them on Twitter HERE! What's for dinner? It's always the nagging question of the day. I want to say that I am one of those people who has meals planned out a week ahead of time and a balanced meal ready to heat up each night but I'm not. I'm far from it. Between school, activities, and life in general, I'm fried by dinner time. Prep ahead meal planning is really something I need to work on but in the meantime I'm grateful for Breakfast for Dinner nights! It's a huge hit in our household. I mean come one, who doesn't want pancakes, or waffles, or french toast for dinner. I basically want them every day of the week for every meal. YUM! Breakfast nights are easy and the kids love to help (which I only honestly sometimes let them do based on how much patience I have left!). 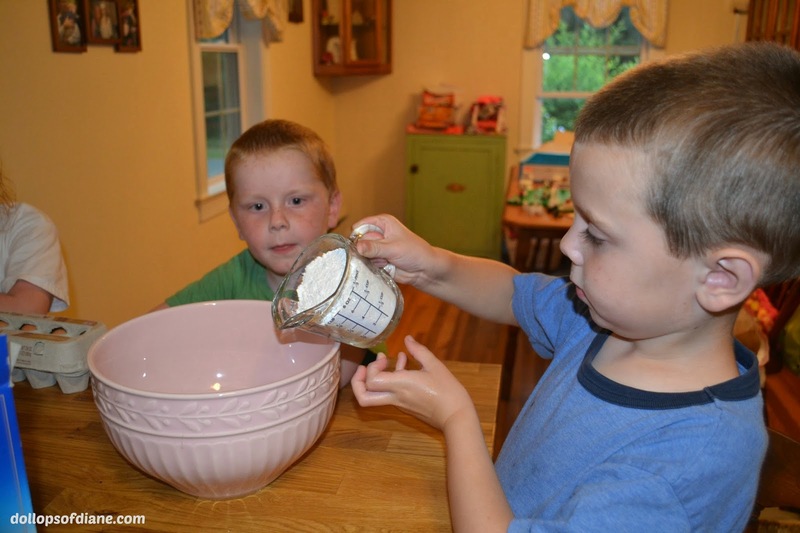 We recently received a package of Breakfast Night supplies from Krusteaz and couldn't wait to use them. 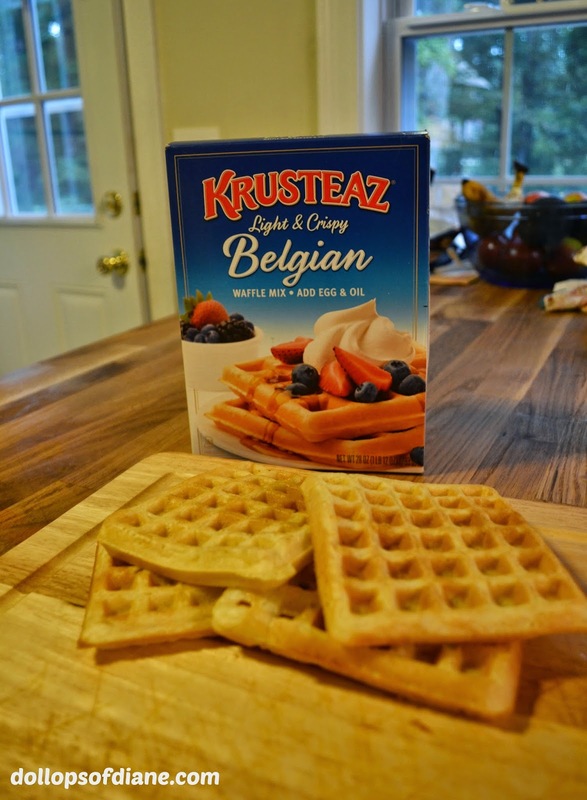 We decided to try out the Krusteaz Belgium Waffle Mix since the kids love when I bust out the waffle maker. So with just the mix, oil, and eggs and a few minutes in the waffle maker and voila! We had a great, easy, super yummy meal on the table! 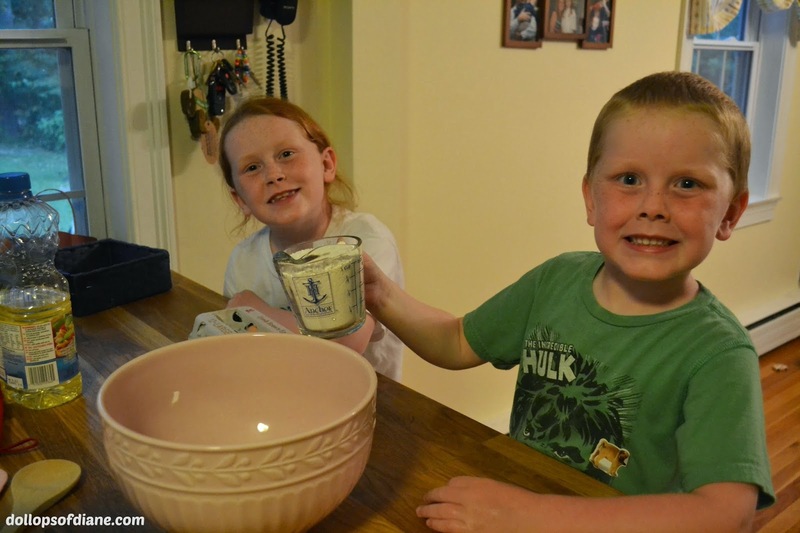 Want to try out some Krusteaz products for yourself? 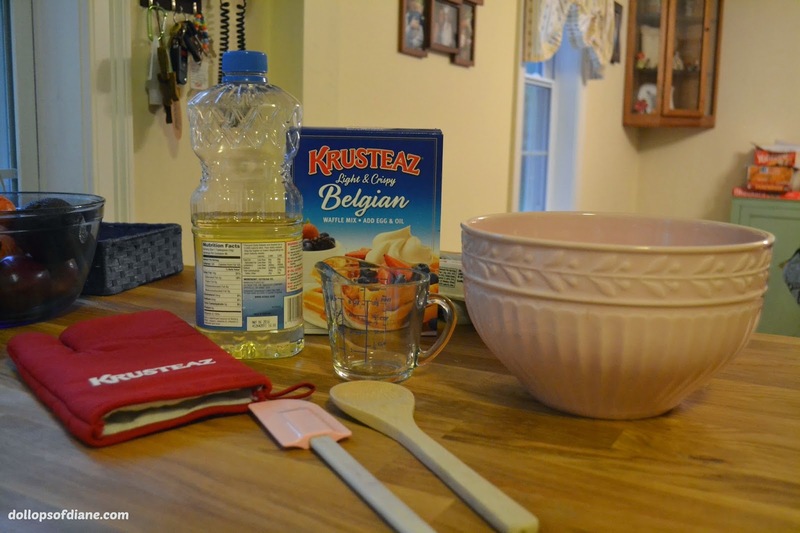 One lucky Dollops reader will win a prize pack including a Krusteaz Buttermilk Pancake Mix, a Blueberry Pancake Mix, a Belgian Waffle Mix, and a Wild Blueberry Muffin Mix (We LOVE this one!) as well as Krusteaz coupons for free product. Enter via the Rafflecopter form below! 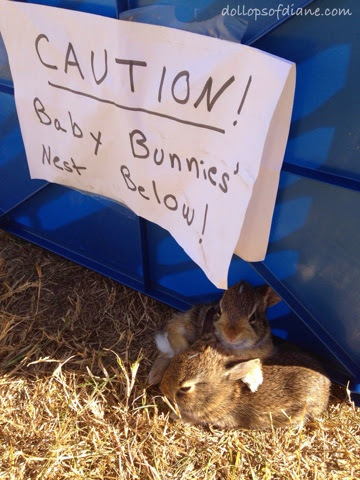 Last Sunday at our church's annual BBQ a baby bunnies' nest was found pretty much AT the entrance to the bouncy house that had been set up. It's a miracle that they weren't immediately trampled. 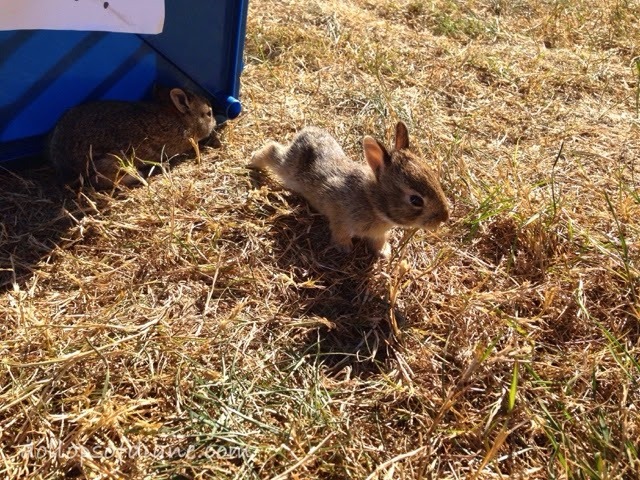 Someone placed a blue crate over it to protect them and that started my obsessive bunny stalking over the last week. I've seriously spent way too much time this past week looking up information about baby bunnies on the internet and just staring at them. We kept the crate over them during the day (since the nest was on the church/school playground) and took it off at night for the Mamma Bunny to be able to nurse. 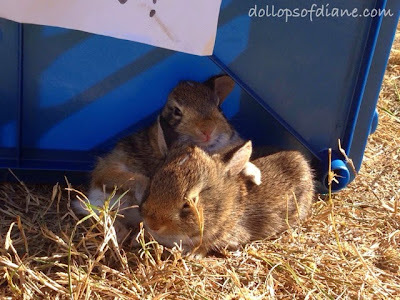 Did you know that a Mamma Bunny only nurses the babies 1-2 times in a 24 hour period (at night/dawn) and for only 5 minutes at a time. Beyond that the nest is left unattended and the Mamma does her own thing. Luckily, they had Mamma Diane and a few other church workers keeping an eye on them as well. So much bigger in just two days, right? 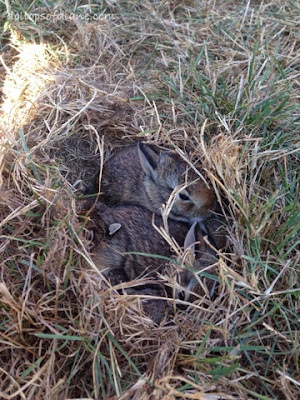 Two of them were out hopping around and super friendly. This guy even let the kids pet him! One of them hopped away while we were there - he was ready. By Saturday morning, a friend let me know that the nest was empty. My babies had moved on. This is where I wanted the post to end but sadly that's not the case. Today, when we got there (yes, between church activities, school, and bunny stalking I am there every day!) 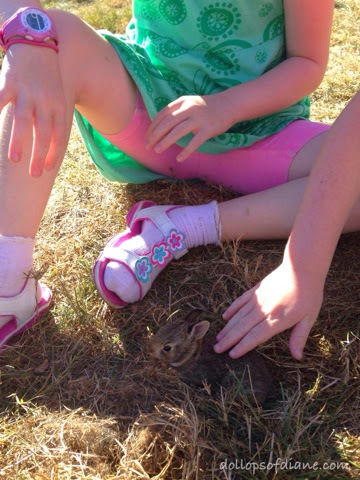 one of my bunny friends was found out on the playground who didn't make it. My guess is he was one of the bunnies that was still in the nest Friday afternoon and maybe just wasn't ready/able for life out in the cruel world on his own. So I did what any crazy person would do and I dug a hole and buried him out behind the church. There was talk in the office of just putting him in the dumpster but no way Jose. 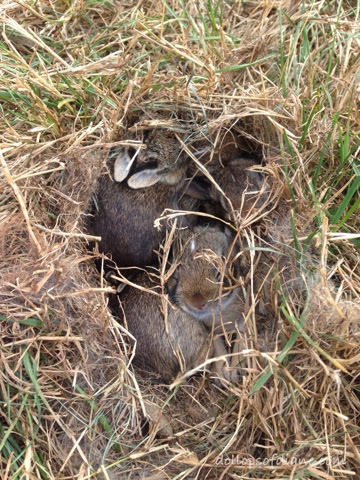 YOU might throw your dead bunnies in dumpsters or out in the woods but not me. MY dead bunny has a nice rock with a cross on it marking his grave. Yup, that's what I did on my kid-free morning off. I made a nice grave for a dead bunny. What has become of my life?! BUT let's not end things on a dead bunny note - Let's end them with another adorable picture of his brothers and/or sisters! Seriously, can you even handle it?! 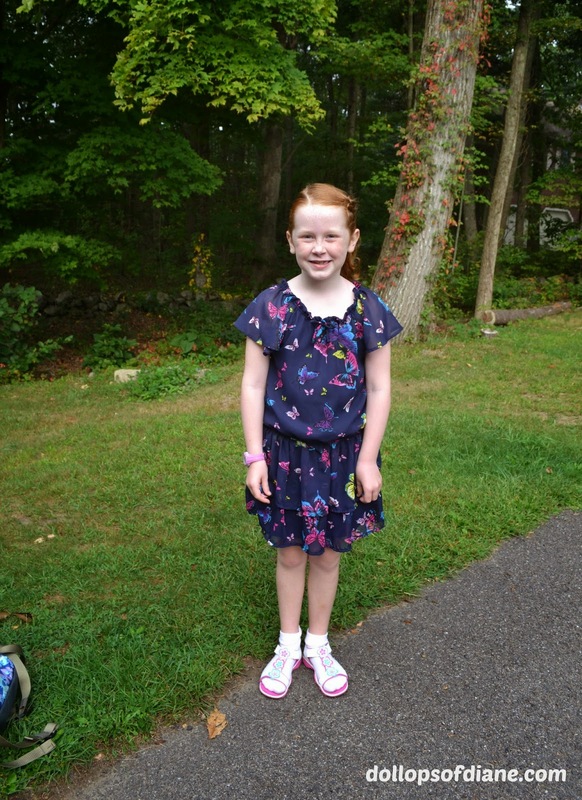 Last Tuesday, Isabelle started first grade. She was a bit nervous and sad the day before but the worries quickly faded when she realized how awesome first grade is. As expected, she absolutely loves it and loves to update me on all the things the first graders can do that Kindergarteners aren't allowed to do. Here she is heading off for her first day! 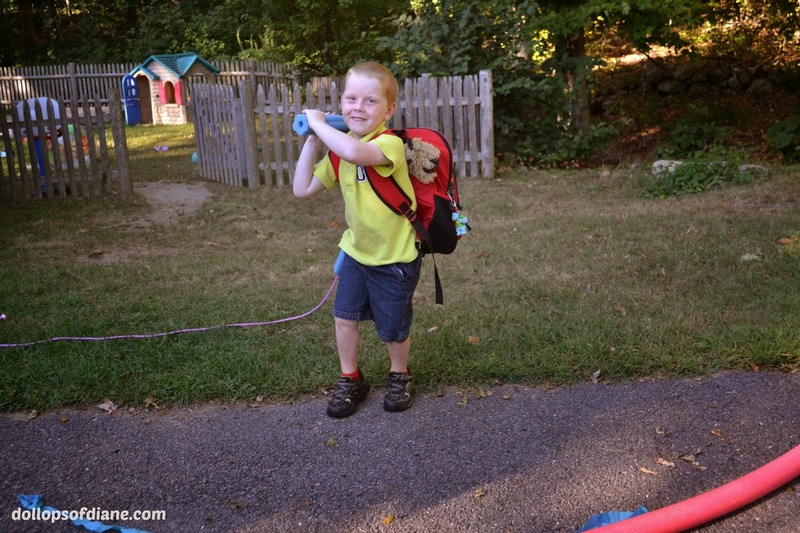 Henry followed on Wednesday with his first day of Kindergarten. He was off without a worry in the world and is loving it! 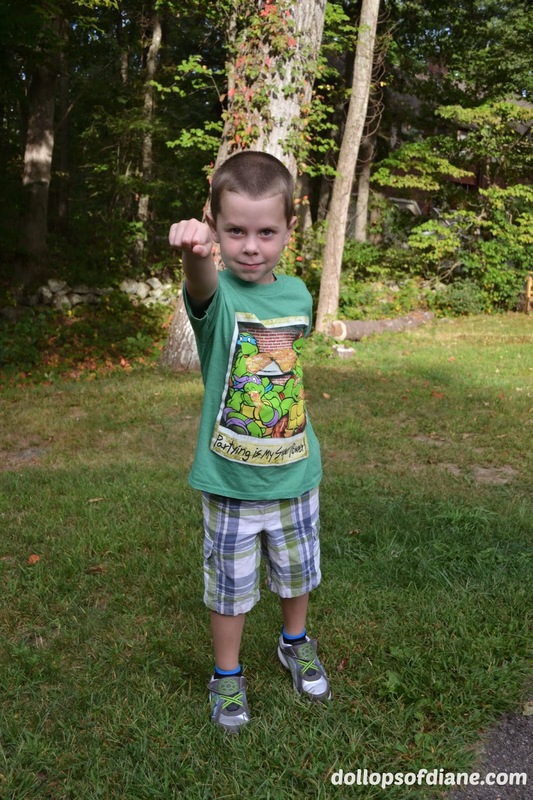 Daniel headed off to his first day of Pre-K this Monday. He's excited to be back at school with his friends and to get to stay for lunch this year! Yup, that's right they are all in some form of school which means I have a few hours to myself each week. It's the first time since I've had Isabelle that I have some time alone during the day. I've only had one morning of it so far but let me tell you it was magical! 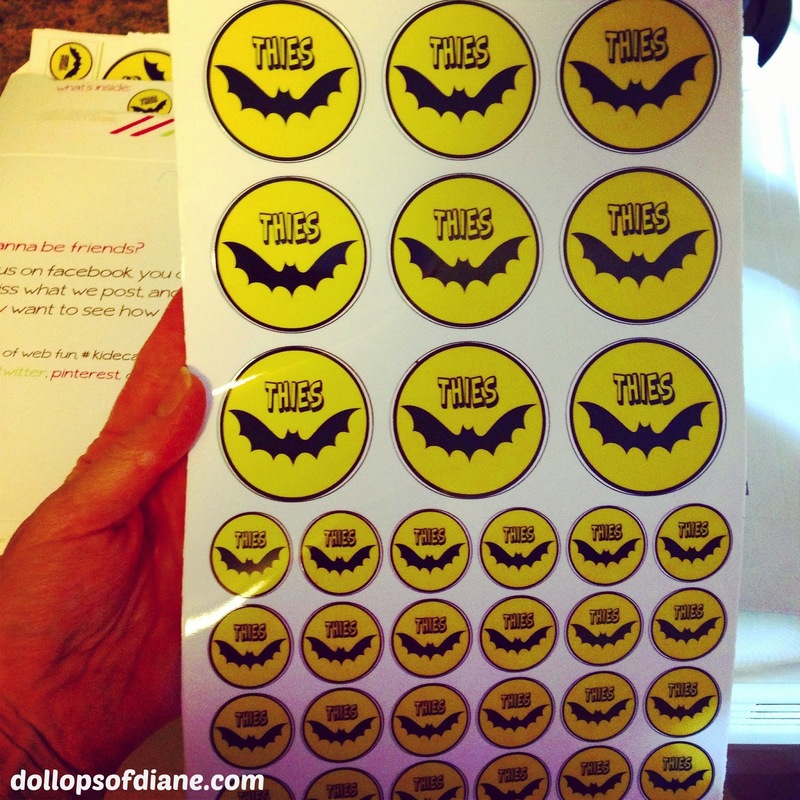 Oh, and I'm also loving the labels that I received complimentary from Kidecals. There's so much labeling involved with kids in school. I love that these washable stickers make it easier! Hope everyone else is off to a great school year as well! Last weekend, we headed to check out to King Richard's Faire, New England's largest and longest running Renaissance Festival, in Carver, MA. This was the third year for me and the big kids and the second time for Daniel and my husband. The first year D went he was little though so this was the first time he really got to enjoy it. 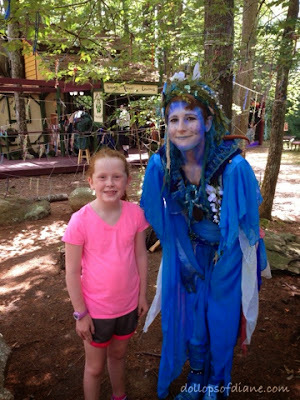 Not familiar with the Faire? Well here's some info for you! 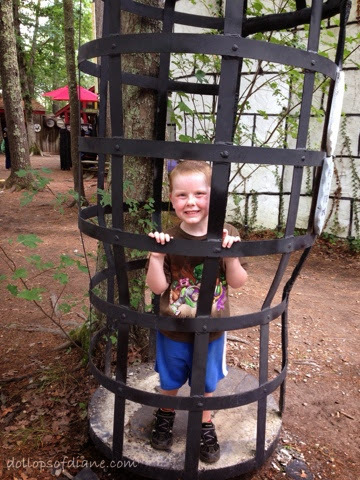 Entertainment, exciting rides and skilled games abound on the enchanting 80-acre site of King Richard’s Faire. Hundreds of talented entertainers perform non-stop throughout the day. 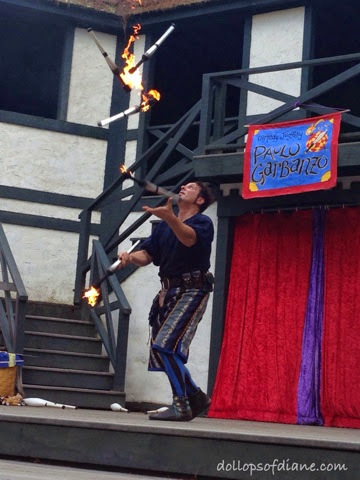 Visit any of the eight vibrant stages and be enthralled by acrobats, aerialists, jugglers, minstrels, dancers, fire eaters, puppeteers and exotic tigers. Witness the rare liger, beautiful white lion and cute tiger cubs. You’ll gasp as the King’s mounted knights battle on horseback, and laugh as bawdy beggars compete in mud. 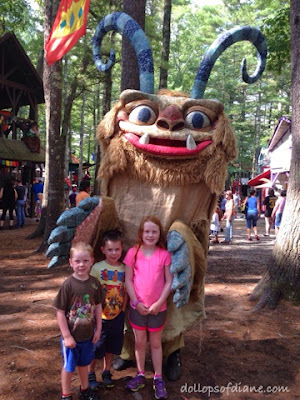 Strolling performers will engage you all day long as you frolic in our forest and try your skill at the Gaming Glen. Epicurean pleasures will tantalize your taste buds with the Faire’s unbelievable choices of truly scrumptious treats. Satiate your palate with spit-roasted giant turkey legs, boules of chowder and stew, ringlets of fryes, champagne, wine and brew! Discover over 100 talented artisans who journey from all over the country to display and hawk their magnificent wares. You will be delighted and intrigued by the fantastic glass blowing, portrait painting, hand-spun pottery, sword making, fabulous jewelry, leather and armor, period clothing, moccasins, perfumes and scented oils, face painting, and psychic readings. If you're thinking of heading to the Faire also be sure to check out my previous post "Things to Know Before Bringing Your Family to King Richard's Faire" which is full of useful info (if I do say so myself!). We first spent a decent amount of time simply walking around and taking in the sites. With sites like this who needs much more? We then decided to take in some shows including "Jacques Ze Whippeur," "Garbanzo," "The Mud Show," and the tail end of a few others. Like in years past, the kids were mesmerized by the acts and the characters. We ended the day with an ice cream cone and some great memories. Oh, and we tried to leave Daniel behind but he found his way back to us. 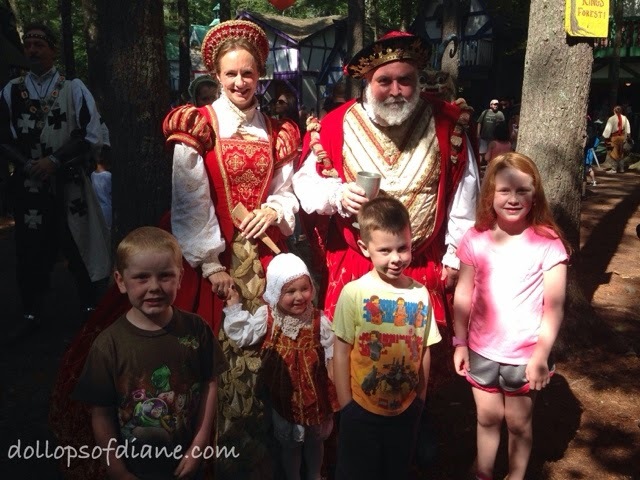 King Richard's Faire is open weekends August 30th through October 19, 2014 (including Columbus Day Monday). Tickets are $29 for adults (12+) and $16 for children ages 4-11. Children under 4 are free, as is parking. You can purchase tickets HERE and find helpful info HERE. Don't forget to Like the King on Facebook HERE and follow him on Twitter HERE! With kids going back to school left and right in all parts of the country, back to school shopping has been on a lot of people's radars. I feel like I'm one of the few people who doesn't run out and buy a bunch of new clothes before school starts. My kids can easily get away with their summer clothes for at least the first few weeks of school. This was proven when it was 85 degrees here in MA for Isabelle's first day of school! Therefore, I usually hold off on my shopping and make it more of a "getting ready for winter" trip. Either way, no matter when you're doing your shopping you most likely are trying to not break the bank when doing it. It pains me to spend a lot of money on clothes that the kids will quickly grow out of and/or ruin. So I'm a big fan of (in good condition) hand me down clothes and second hand stores like Savers. A Savers location opened not far from me last July and I was hooked. I love that it's always clean, well organized, and you can find some good deals. I also checked out the book section which I had never really looked at before. We mainly get our books from the library since we don't have tons of space for our own books but I figured I'd swing by and check it out. I picked up these storybook collections which the kids love. The 5 large books were $4 total for all of them so not bad. One of my favorite finds at Savers is also pictured above - Legos. Those bad boys are so expensive at retail price but you can often find a bag of them at Savers for just a couple of dollars. We find they often have unique pieces in them as well which the kids enjoy. 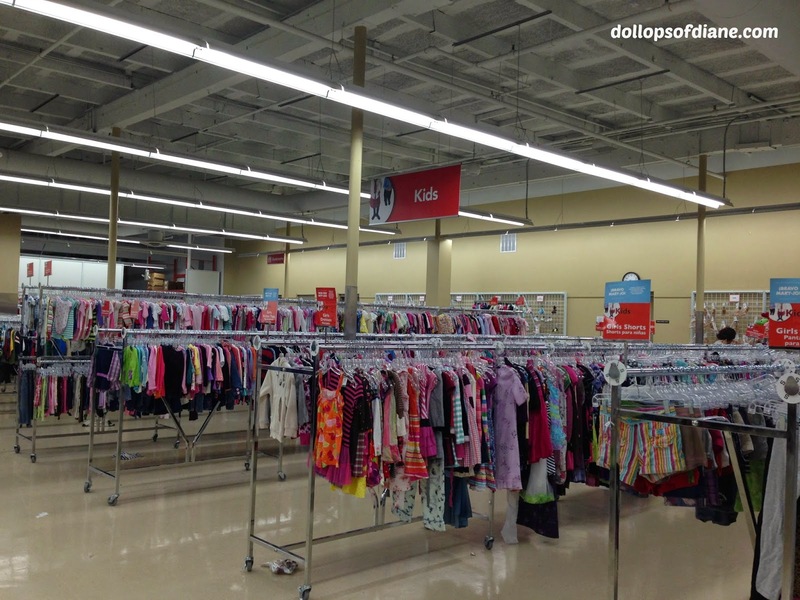 So next time you're dreading spending money on back to school, or welcome to winter, or my kids have too many holes in their clothes shopping, consider taking a trip to Saver's. They might have just what you need for a steal! You can find the closest Savers to you HERE. You can also like Savers on Facebook HERE and follow them on Twitter HERE! 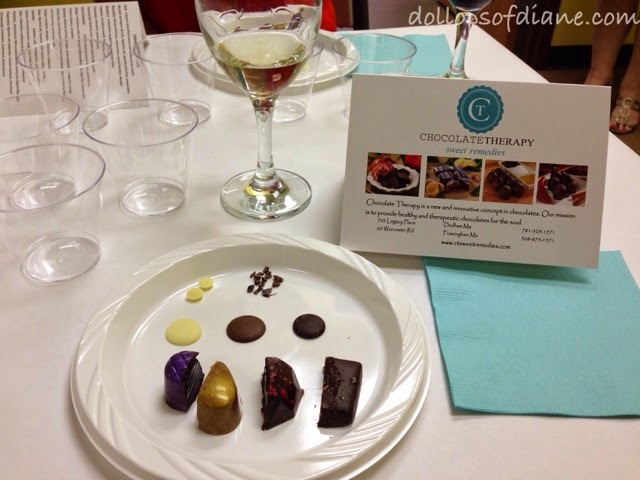 I recently had the opportunity to attend a Wine and Chocolate Tasting at Chocolate Therapy in Framingham. Actually, that's only partially true - it wasn't that recent. It was in July but I got caught up in having too much summer fun (and wine) to write about it. It was a fun and informative night though so I wanted to make sure I circled back to tell you about it! 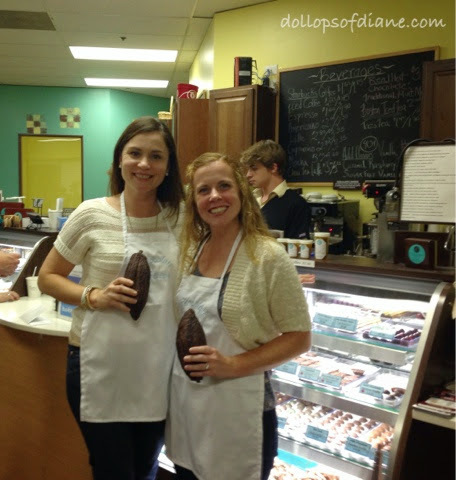 Chocolate Therapy is owned by husband and wife team, David and Pam Griffin, who are passionate and knowledgeable about all things chocolate (and friendly to boot!). When we arrived we were greeted in the front store by Pam with wine in hand and offered chocolate samples. I wouldn't mind being greeted like that every time I walked in a door! We were then escorted back to a private room with tables set for 4 to 6 people. I brought a friend with me as did my blogging bud, Jess of Keeping Mommy Sane, so we all sat together for a fun girls night out. After some learning, the real fun began - the eating and drinking! Here was our menu from the event with the pairings. Pam works hard (and enjoys every second of that work) to find complimentary and unique pairings. The Sea Salt Caramel paired with the Sherry was my favorite and I also really enjoyed the Pinot Grigio pairing. Those were my top two but they were really all good which somewhat surprised me since I am not a red wine drinker and didn't think I would enjoy those as much as I did. It just goes to show once again that chocolate makes everything better! 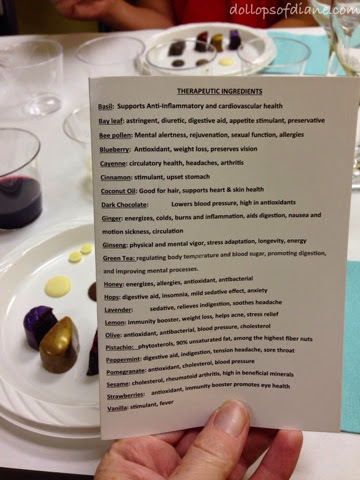 Oh, and in case there was any doubt about the health benefits of the ingredients in their chocolates, I took this picture for photographic evidence! After the event was over, we headed to the front to make a few purchases and pose with cacao pods (obviously!). We really enjoyed our night and it was a nice change of pace and something different to do! 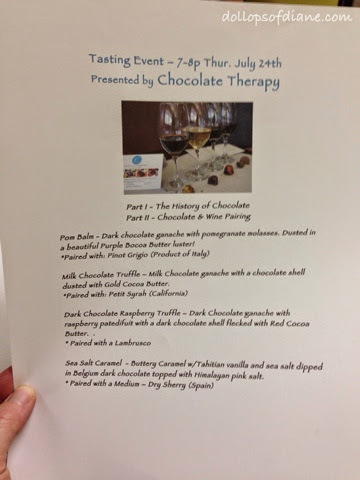 Chocolate Therapy has two locations - Framingham and Dedham (Legacy Place). You can like them on Facebook HERE and follow them on Twitter HERE. You can also learn more about the events and parties they offer by clicking HERE.